For the past few months, I have been following the long and miserable demise of a building in the Golden Triangle. The photos show a 1982 building at 990 Bannock Street, and one showing an excavator gnawing away at the building. Let’s call it the jaws. The building seems to be spilling its guts as the jaws bite away. When the remains are finally cleared away, the site will become a staging area for an apartment building to be developed by Lennar Multifamily at West 10thAvenue and Acoma Street. That land is now a parking lot. The building being demolished was designed by William Muchow, known as the dean of architects in Denver. He died in 1991, but his firm – W.C. Muchow and Partners – was what we now would call an incubator. Architects who worked for Muchow included a dean’s list of prominent and respected architects based in Denver. Think George Hoover, Karl Berg, Dayl Larsen, G. Cabell Childress, Paul Hutton, William Dilatush, Peter Dominick, and Jeff Sheppard (I’m sure there are many more). In my research, I learned that Muchow and his team designed more than 850 buildings. Even as I write this, I know how many architects in Denver have watched their buildings get scraped or remade to resemble something else — some buildings as little as 20 years old. The building at 990 Bannock was occupied for several years by workers at Denver Health. But the building, constructed by Public Service (now Xcel), began as the first step to create a large mega-block corporate office development that was going to revitalize that end of the Golden Triangle. 990 Bannock would have been part of that project. Back in the day, I’ve been told, Public Service and US West (later Quest and now CenturyLink) could spin off real estate divisions to develop property and then lease back to the utility at above-market rent. That economic gold mine was shut down by the state, and only one building – 990 Bannock — was constructed to be part of the complex. This left the building sited in an awkward direction. Still, 990 Bannock exhibited a forward-thinking and competent design. 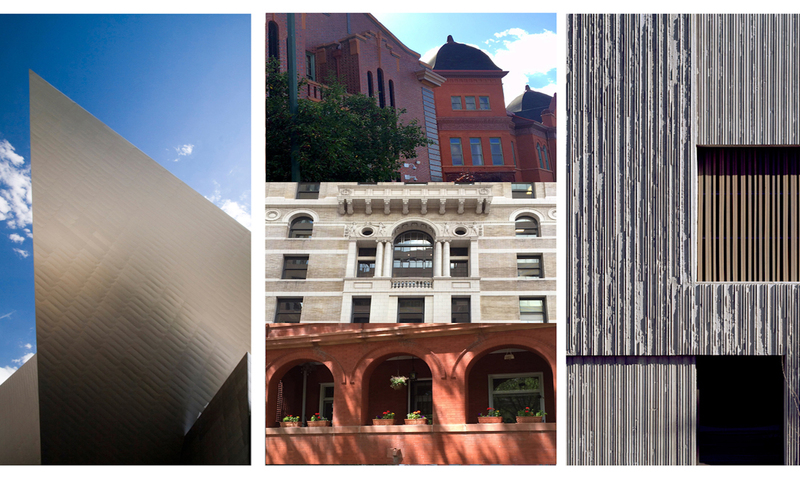 The photos below show Muchow buildings that have been demolished (or had a new mini-façade glued onto it), and three remaining buildings by the firm. Previous PostPrevious When you consider purchasing an historic property, know what you’re buying.